L&D professionals often think only about one single training program instead of looking at the entire journey that learners take. Mapping out the learner life cycle and assigning content that engages them along the way not only helps create unforgettable learning experiences and drive individual performance, but also helps with the transfer of knowledge after a training session has ended. Creating a content strategy is about creating the right content at the right time for the right audience and it is time for L&D professionals to take a page out of marketing’s playbook. How marketing professionals create and plan their content, and why L&D professionals should embrace and adapt this model. How you can apply these concepts to L&D in order to drive an individual’s performance, help plan for quarters to come and measure ROI. How to create a content strategy plan and how to implement it in three easy steps. You’ll walk away with a better understanding of your organization’s content strategy plan. 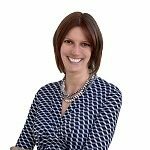 Bianca Baumann, CTDP, focuses on digital education success, combining learning and development (L&D), digital marketing and customer success to create outstanding learning experiences that stick. She spearheaded multiple projects in the marketing, financial and events industry and created award-winning programs along the way. She shares her expertise in her blog and at global conferences, highlighting the importance of including disciplines outside L&D to map out a learner journey that helps drive performance. Bianca is a certified training and development professional and is currently working as director of learning experience design at GP Strategies.